The relationship between map and territory is always an intriguing one and the result of Alÿs’s intervention is to conflate the two, leaving the territory marked by the map. But it’s the political act of making the line – now a trace of history rather than a contemporary boundary – visible now on a map but on the streets that gives the work its punch and its poetry. 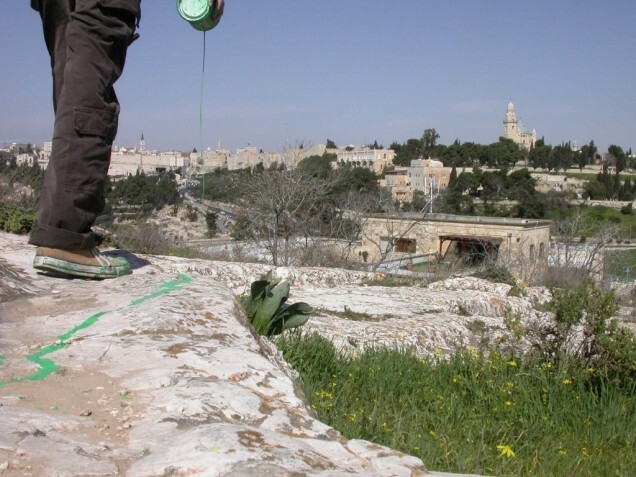 Effectively an intervention artwork, the piece is shown, unsurprisingly, as video both as recorded at the time and with a selection of voiceovers by people – activists, historians, journalists, and others with a connection to the city of Jerusalem, Isreal and Palestine – Alÿs asked to respond to the film (the different versions can all be watched on Francis Alÿs’s website; when the work is exhibited, the audience can select which track to listen to). That this work is in my head just now is of course no real help in understanding anything very much and, as ever, I’m easily distracted, here by the thought that in this work Alÿs is following Paul Klee’s definition of drawing and ‘taking a line for a walk’. 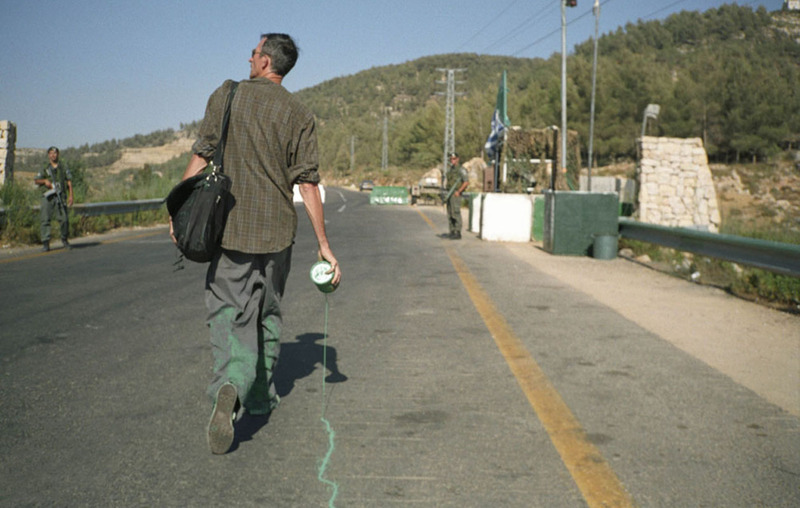 This entry was posted in Conceptual art, Drawing, Film/Video, History, Intervention, Performance, Politics and tagged art, Francis Alÿs, Jerusalem, politics, Taking a Line for a Walk, The Green Line by Ann Jones. Bookmark the permalink.